The recent paper, "Elucidating the genetic basis of biomass accumulation and radiation use efficiency in spring wheat and its role in yield potential", first-authored by Dr. Ryan Joynson of EI's Anthony Hall Group and Dr. Gemma Molero of Matthew Reynold's team at CIMMYT, presents a valuable step forward for researchers interested in increasing wheat yield potential: a crucial task if we are to sustainably feed the planet. The research, funded through IWYP (International Wheat Yield Partnership) shines light on the role of radiation use efficiency (RUE, how sunlight is converted into plant mass) in increasing the yield potential of wheat: how we can increase plant biomass without sacrificing grain yield—a major challenge. Dr. Ryan Joynson, co-first author on the paper, said: "It's really gratifying to use my computational skills in such an applied project and to see this research being incorporated into important international breeding programmes." Thanks to Norman Borlaug's green revolution, led from CIMMYT, the development and improvement of dwarf varieties of wheat have led to a drastic increase in wheat yields over the better half of the 21st century. Yet, this consistent increase has wavered in recent years. Alternatively, how do we increase biomass and the relative efficiency of photosynthesis, without reducing the harvestable portion of the crop—the grain? Photosynthesis itself is pretty inefficient, so it must be possible to find a happy medium between less biomass, more grain, and more efficient photosynthesis—so where better to start than to identify genes and genetic regions underpinning all of these traits in elite lines of wheat? Namely, markers for use in marker-assisted breeding, that will help increase desired outcomes—such as biomass, thousand grain weight and radiation use efficiency—while avoiding the trade-off between grain weight and grain number, or between biomass and harvest index. Another important aspect of the work was the investigation of the effect of sources of new variation into elite lines of wheat. 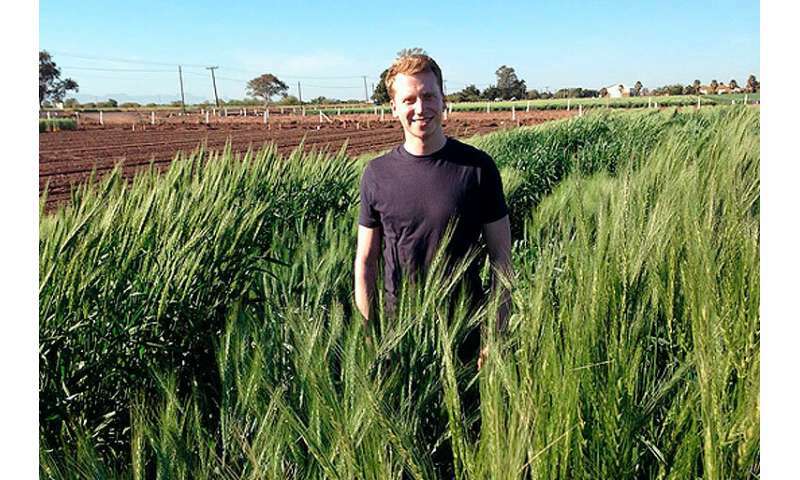 Comparing elite wheat varieties alongside 'exotic' lines such as landraces and synthetic wheat, the researchers pinpointed areas of interest for future breeding programmes, i.e. where we can introduce more variation into our best wheat varieties for desired outcomes.